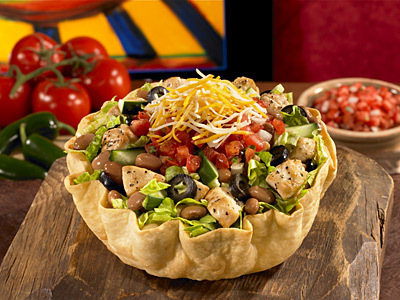 I enjoy eating at Moe’s Southwestern Grill…well, at least most of the time. Compared to the typical burger & fry places Moe’s offers a little better choice of fresh veggies and higher quality protein at a comparable price. Now, before this looks like an endorsement for Moe’s let me specify that there are two Moe’s locations close to my home. Incidentally, the one that is closest I only eat at when I have no other choice. 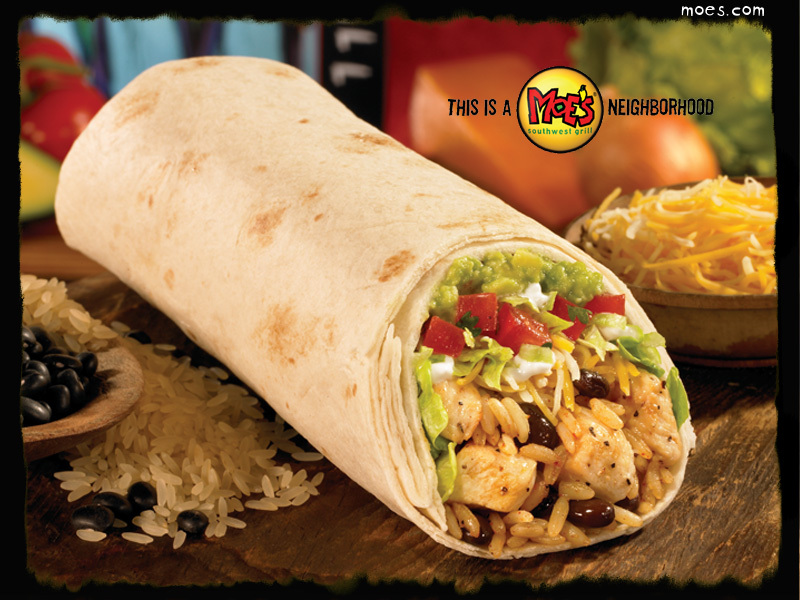 Why don’t I like the closer Moe’s? After all I’m in that part of town fairly often—and the truth is that I’m hungry fairly often—so it seems like we would be a great customer/location fit, right? Nope, not exactly! So what is it then? Cleanliness? Health inspection rating? No, that’s not it—overall the tables, floors and even the bathroom are kept up pretty well—no complaints there. What about the food? Did I find something questionable in my burrito? No, nothing like that either. It’s not even because the staff are unfriendly. There is a good reason that I don’t like it—and I promise I’ll share it with you in just a minute. I only get to visit the other Moe’s location (the one that’s located a little further away that I like) about once a month when I’m passing through the area on business. That particular store is in a bad location. The way the medians in the surrounding streets are set up you cannot turn directly into the store. You practically have to drive all the way around the block to get to the parking lot. However, there is never a shortage of people inside and sometimes its standing room only. This Moe’s store has overcome the hurdles of bad location by offering superior VALUE to its customers. To my knowledge I’ve never left this location without feeling that I’ve got more than my money’s worth—and that is precisely where the other, closer Moe’s fails. It’s a totally different story with the manager of location “B”. He has an “Abundance Mentality”. His store may be located in a bad location but he knows how to get the people in there anyway. Right up front during your visit he’s busy jovially interacting with his employees and customers. He’ll introduce himself, make menu recommendations and insist that his employees pile on the toppings. If the baskets of food are not running over by the time it reaches the register he’ll go back and pile on more himself. He’ll even offer “on the spot” manager-created combos and family discounts that are not listed on the sign. The first time I met him I told him about my experience in the location “A” store. Even though he had no vested stake in that store he insisted on knocking two bucks off my current combo. “I want our customers to WANT to come to my store.” he told me while handing me my receipt. Needless to say…I’m a faithful customer. The bible teaches “Give, and it shall be given unto you; good measure, pressed down, and shaken together, and running over, shall men give into your bosom. For with the same measure that ye mete withal it shall be measured to you again.” This is the signature example of operating from an “Abundance Mentality”. This simply means that you see yourself as able to give and share with others. You’re not as worried about “counting the beans” as you are “sowing the rows”. And because of that the beans come in aplenty. The lesson is: If you give people more than they expect then the bottom line will never take a beating. I certainly hope that the manager of location “A” understands this before it’s too late. If not, I wonder how much a Moe’s franchise costs? This entry was posted in Uncategorized and tagged Business, leadership, Management, Opinion, Service. Bookmark the permalink. It is always a pure joy to read the articles you write! This one just reminds me of my work place. We have some very ungrateful bus drivers who treat the mechanics with such disdain that the mechanics dread those individuals coming in. I was warned by several drivers about the mechanics and how badly they spoke to the women drivers. I decided to get to know these guys before believing in what I was warned about. One man is a huge man who used to be in a biker gang… he talks gruff and puts up a rough front but is as sweet as a teddy bear and will bend over backwards to help you if you just treat him with kindness and respect. Man #2 is a singer and used to be in a band… doesn’t say much but loves a good song… if you treat him badly he won’t pay any attention to you. But of course be kind and he will give you the shirt off his back if you need it. Man #3 always has a mean tone to his voice… if you do something wrong he will jump down your throat. But I learned with him just apologize and always say yes or no sir… also offer to fix of clean up the mess you may have accidently created. With him I always say please show me what I did wrong so I may not do it again. Man # 4 openly admits not getting along with others… if you say something nasty then he will dish it out to you. But I even found a good thing about him…. he also has a heart that most people do not see. If you prove to be a great listener and not a teller than he will also bend over backwards to help you. But the drivers to give these guys a chance. They are like the rest of us and have to work within the limits of the money that the county gives them. As they say don’t judge a book by it’s cover. Also “try a little kindness” it really goes a long way! Thank you again for the awesome job you do with your articles! !